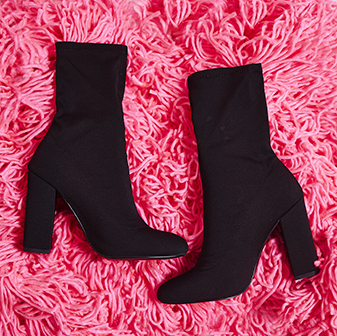 No girl can ever have too many pairs of ankle boots. Ever. Heeled, flat, studded or sock boots - there's something for every vibe, mood and occasion. So whether you want to look fierce AF with a pair of black studded stiletto boots, or you're looking to rock some biker boots at the weekend - we have got you covered. With all the hottest styles and latest trends - you're sure to find exactly what you're looking for here. Team red boots with some super skinny jeans, an oversized tee and faux-leather jacket for brunch with the gals, or give a nod to those festival vibes by pairing some lace up ankle boots with distressed denim shorts and crochet waistcoat. 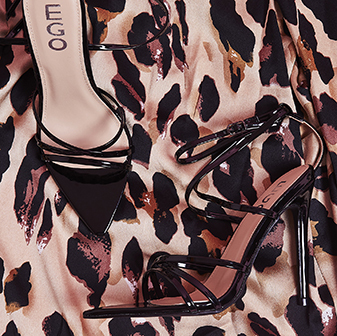 They're a must-have for any self-confessed shoe lover - so pick a pair you love and you'll be head-to-toe-woah in an instant. Shake your booties, girl .